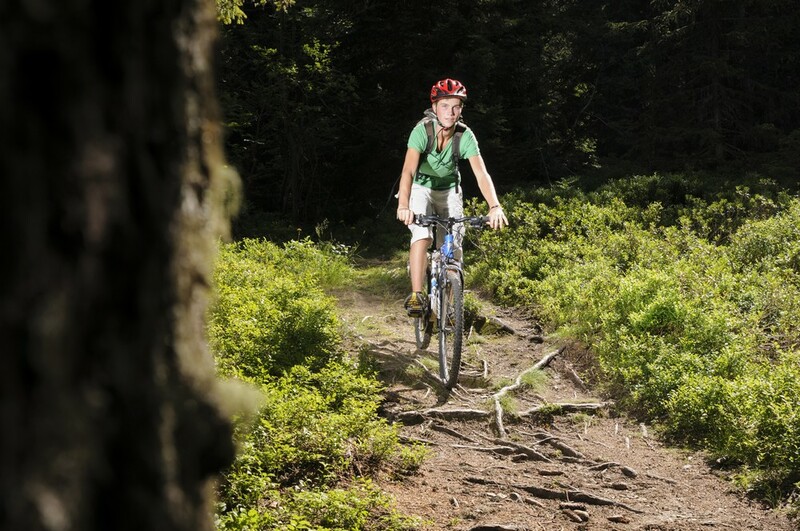 There are numerous marked mountain bike itineraries in Praz-sur-Arly, as well as in the surrounding villages. The opening of the chairlifts in summer makes the ascent easier for the less sporty, or simply for those who want to take advantage of the downhill possibilities of the trails. 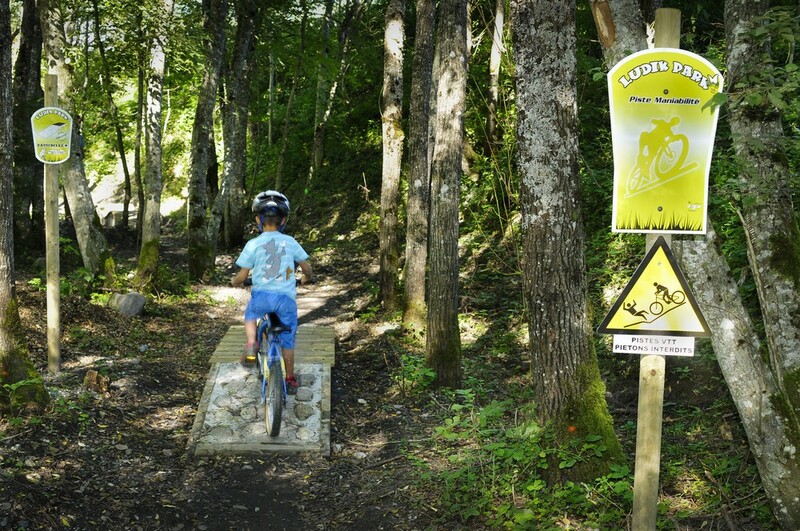 The Espace “Portes du Mont-Blanc” mountain bike circuit has 400 km of marked trails, of which 100 km are descents! Families, amateurs or pros will each find something to please them! From Praz-sur-Arly to Sallanches passing through Megève, Combloux, Cordon, Demi-Quartier, La Giettaz and Magland, 50 linked and varied circuits await you. Download the map. The vast woodland area in the Belles Leisure Park, on the banks of the Arly River, has been cleared for this activity, offering parents and those accompanying children a lovely shady site. Beginners can learn to ride over a track of wooden modules. For the more experienced, a free mountain bike “trial” is open to all those who like strong emotions and where “young pros” can train.